Houston, Texas – The Bureau of Alcohol, Tobacco, Firearms and Explosives, the National Shooting Sports Foundation (NSSF), the trade association for the firearms industry, and Crime Stoppers of Houston have announced a reward up to $12,000 for information leading to the arrest and conviction of suspects responsible for burglarizing Texian Firearms at 14800 Westheimer Road, Houston. Four black males entered Texian Firearms on June 7 at 3:59 a.m., while the store was closed. 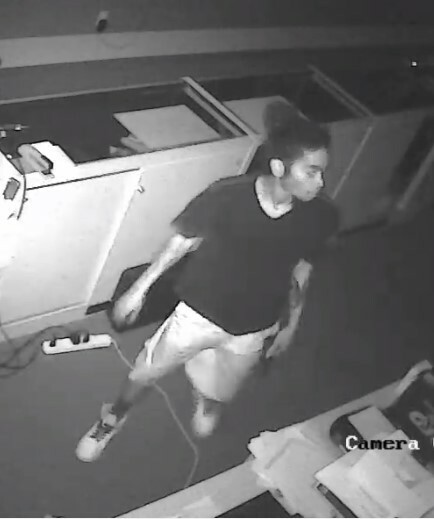 Ten minutes after the suspects burglarized the business, a light skinned Hispanic male burglarized the business. During the two burglaries, 24 firearms were stolen. 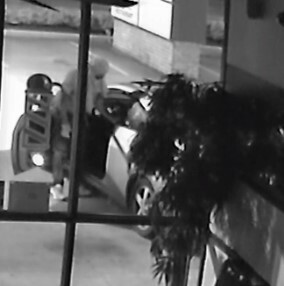 The first four suspects left the business in a 1998-2003 two-door silver Honda Accord. Suspect 1 is described as a black male, 18-25 years of age, 5’11”-6’, skinny build, goatee/beard, wearing a t-shirt, dark colored pants, white tennis shoes, and gloves. Suspect 2 is described as a black male, 16-21 years of age, 5’10”-6’, skinny build, wearing a black hoodie with designs, dark colored pants, dark shoes, and gloves. Suspect 3 is described as a black male, 18-25 years of age, skinny build, 5’8”-6’, wearing a light colored hoodie, dark pants and a backpack. Suspect 4 is described as a black male, 18-25 years of age, wearing a gray hoodie and white tennis shoes. Suspect 5, described as a Hispanic male, 18-23 years of age, skinny build, 5’11”-6’1”, dark goatee/beard and dark hair tied on top of his head in a bun, arrived on foot and entered the business approximately ten minutes after the first four suspects left. Suspect 5 left in a 2002 black Dodge Durango. “ATF is committed to using all necessary resources to getting illegally obtained guns off the streets,” said ATF Houston Field Division Special Agent in Charge Fred Milanowski. Anyone with any information about this crime should contact ATF at 888-ATF-TIPS or CrimeStoppers of Austin at 512-472-TIPS. Individuals can also submit information through the mobile ReportIt® app, available both on Google Play and the Apple App Store. All individuals providing tips can remain anonymous.